Terry Muir has performed as soloist, chamber musician, orchestral member, jazzer and rocker for nearly twenty-five years. As a soloist, Muir has appeared with orchestras in the concertos of Schumann, Dvorak, Haydn, Saint-Saens and Victor Herbert. As chamber musician, Terry co- founded the Hengst Studio Concerts in Seattle with visual artist Jeff Hengst, and the Idaho Chamber Music Fortnight in Boise with the Langroise Trio. As an orchestral musician, Muir has performed with the Seattle Symphony, Tampa Opera, Pacific Northwest Ballet, Boise Philharmonic, Austin Symphony, Charleston Symphony and recorded for many independent and Hollywood movies. On the road he has performed and toured with Elton John, Tears for Fears, Sarah McLaughlin, Billy Joel, Pavarotti, and Sheryl Crow, among many others. Muir is a committed teacher and was on the faculty of the Armstrong Community Music School at Austin Lyric Opera until coming to Charleston in 2011. Terry attended the Northwest School, Eastman School of Music and Northern Illinois University. His principal teachers included Raya Garbousova, Eva Heinitz and Steven Isserlis. 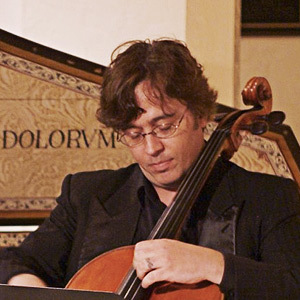 He currently makes his home in Charleston, SC where he teaches cello, organizes concert series, and continues to perform regularly.